Introducing partners: Lucian Blaga University of Sibiu (LBUS). 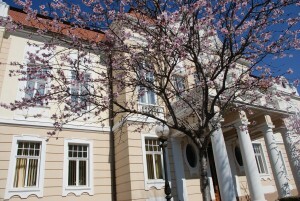 Lucian Blaga University of Sibiu is a public institution, established in 1990. 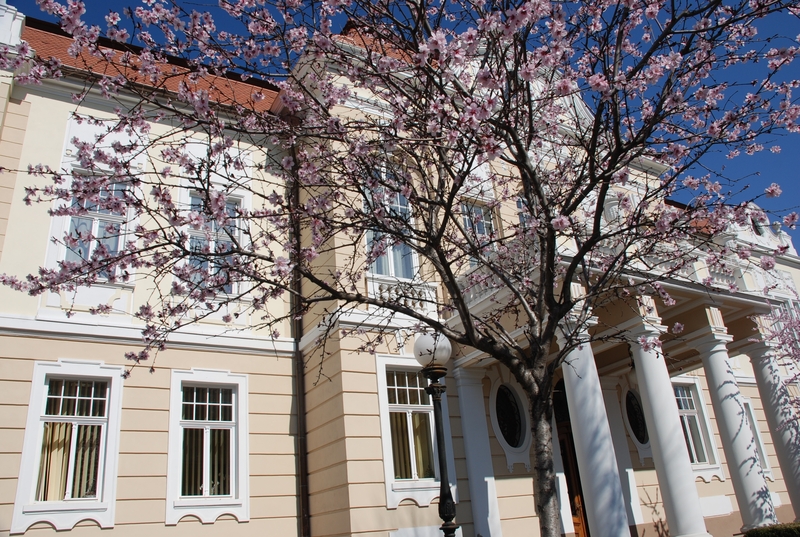 The origin of LBUS as an academic institution is recorded in the first months of 1990, immediately after the overturn of the political regime in Romania – therefore LBUS is a young university. LBUS encompasses nine faculties organized in departments, with 1012 academic and non-academic staff working with a total number of 17,000 students for bachelor and master degree programs, for the academic year 2012-2013. These faculties are: the Faculty of Theology, the Faculty of Law, the Faculty of Letters and Arts, the Faculty of Social and Human Sciences, the Faculty of Engineering, the Faculty of Sciences, the Faculty of Medicine, the Faculty of Agricultural Studies, Food Industry and Environmental Protection, the Faculty of Economics. Moreover, we should also mention: the Doctoral School, the Department of Consultancy and Continuous Training, as well as the Department of Lifelong Learning and Distance Education. LBUS academic structure is a pyramidal one, based on the bachelor, master and doctoral degree programs, as components of the three-tier Bologna system, in addition to postdoctoral and postgraduate training programs offered to those interested in Life Long Learning. “Lucian Blaga” University of Sibiu assumes the role of promoter of social progress and contributes to shaping the future by expanding the boundaries of knowledge for the benefit of individuals and society. The objective of “Lucian Blaga” University of Sibiu is to promote excellence in training specialists and in scientific research in a wide range of disciplines. the development of some study programmes as a result of the community needs (as for example: the newly created Pharmacy specialization is a result of the need of a private medical clinic Polisano Sibiu, that developed also a Pharma production unit, to have trained experts. The private company covered the tuition fee for 23 first year students in 2011/2012; the graduates will have the possibility to be hired within this clinic upon completion of academic studies; a similar cooperation is developed by the Engineering Faculty where some study programmes are jointly developed by LBUS and major companies that operate in Sibiu – i.e. Atlassib, Continental. These are some illustrations of win-win partnerships. That is why we aim to extend this successful model also to other specializations. Partnership with the local authorities: City Hall and County Council. Mention should be made here of the major partnership between the City Hall and LBUS in 2007 in organizing the European Capital of Culture. Throughout 2007, LBUS was involved with its academic staff and students in important events. In this context LBUS designed a well defined strategy to be involved in the cultural life of the community mostly through its Department of Dramatic Arts with significant impact. the Rector initiated a series of events under the logo of LBUS Dialogues. These are not only external but also internal dialogues. the Rector and the Mayor of Sibiu decided to place the year 2013 under the aegis of education and research, so that there is partnership signed for 2013 SIBIU SMART and a bunch of activities and projects were developed over the whole year.